My history of the New South Wales coast 'flowed' out of the history of Sydney Harbour I wrote in 2008-2009. In particular that project alerted me to the absence of maritime/coastal/marine narratives in our literature. Sydney Harbour prompted plenty of art but very few stories. And the coast had only a fraction of the artistic attention of the inland - at least until Australians began their love affair with the waves in the late 1800s, a love affair that began on Sydney's beaches. Before that there had emerged a national identity that was focused on the inland - the sheep stations, the farmers and graziers, the forests and timber-getters, the wide brown land that the poet Dorothea Mackellar immortalised as late as 1906. White Australians, or at least those in New South Wales, flipped over the following decades and became 'bronzed Aussies' rather than laconic bushmen. 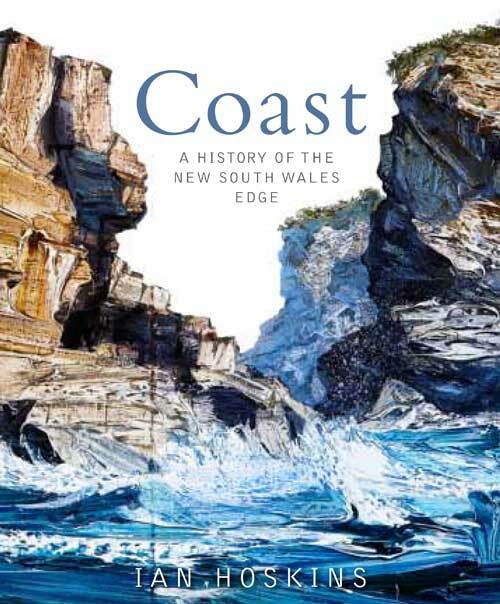 That this is the first history written of the New South Wales coast may say something about the enduring strength of the old interior focus and the power of that new leisurely association. There have been a lot of analysis of bush legends and more recent writing about beach culture but little about the whole coast as a landscape. In this book I trace our relationship with this stretch of land and sea starting thousands of years ago when Aboriginal people feasted on shellfish and perfected the art of building bark canoes, to our present obsession with the beach as a place to live or holiday. Coast won the NSW Premier's Prize for Community and Regional History in 2014.